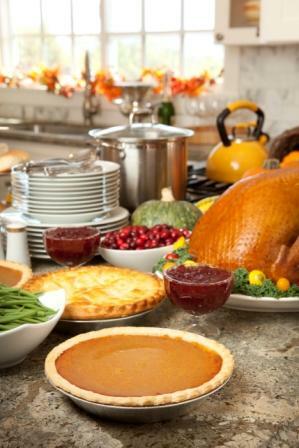 Happy Thanksgiving from AZ Perio Group! As the leaves fall and the frost begins to bite, we at Arizona Periodontal Group want to wish you a happy Thanksgiving! This is a time for celebration, for gratitude, for family—and of course, for a delicious Thanksgiving dinner. This Thanksgiving, please remember to be thankful for your beautiful and healthy teeth, and show that gratitude by taking care of them. As you feast on turkey, sweet potatoes, and stuffing, remember that the bacteria in your mouth will be having a Thanksgiving feast of their own. The extra sugar in that pie and cranberry sauce can increase bacterial growth and put your teeth at a heightened risk of decay. It’s important to remember to brush and floss, even in the midst of a busy holiday; dental plaque left in place becomes dental tartar, which you will need professional help to remove. You should especially be on the lookout for possible staining, as wine and after-dinner coffee can put dark spots on your enamel. If you do notice any problems with your teeth, our office will reopen after the holiday to help return your smile to its full health and beauty. Let this Thanksgiving be a perfect start to the upcoming holiday season. We wish you a happy and healthy Thanksgiving and a year full of beautiful smiles! And if you need us, please call or request an appointment online.